I’m SEW fancy! 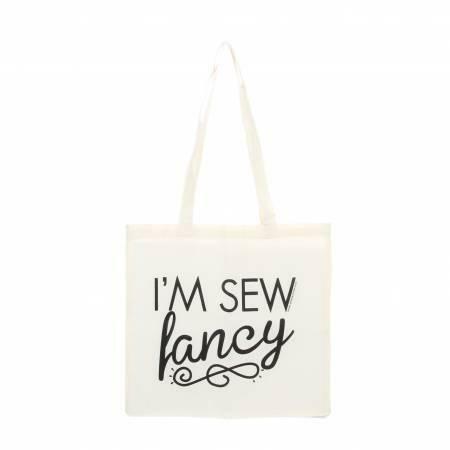 Tote your fabric scraps, projects, or sewing books around in this fun, cotton canvas tote bag. Product Details: 14” x 14” cotton canvas tote bag with 26” straps (13” drop), black graphic print on one side only.